Giving Marine Commanders the means to communicate beyond line of sight while forward deployed is a critical and necessary capability. 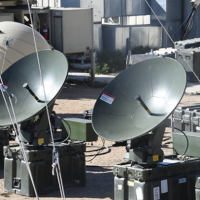 A Marine Corps Systems Command-led working group is actively pursuing updates to the Very Small Aperture Terminal Family of Systems, which has been deployed for nearly a decade. The mission: to develop and deliver an updated, cost-effective, reliable solution. 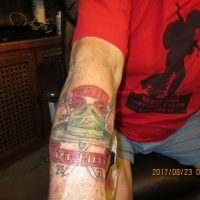 Author IValdesPosted on January 9, 2018 Categories Blog, Main, Marine Corps Stories10 Comments on MARINE OF THE WEEK. A U.S. Marine Corps Marine in Okinawa, injured while helping victims of a traffic accident, was recognized by the Japan Self-Defense Force. CAMP FOSTER, Okinawa — Marine Sgt. Justin Erler came across a nightmarish scene of twisted metal, broken glass, flipped automobiles and severely injured people on the Okinawa Expressway during the wee hours of Dec. 1. A passenger vehicle struck a compact car, which flipped onto its roof, said an Okinawa Prefectural Police spokesman. Both were driven by Japanese nationals. 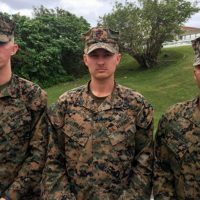 Author IValdesPosted on December 28, 2017 Categories Blog, Marine Corps Stories7 Comments on A U.S. Marine Corps Marine in Okinawa, injured while helping victims of a traffic accident, was recognized by the Japan Self-Defense Force. Marine Light Attack Helicopter Squadron 267 used new auxiliary fuel tanks to fly the AH-1Z Viper and UH-1Y Venom helicopters farther than ever, during flights based from Okinawa, March 10-14. 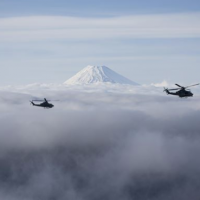 The helicopters demonstrated a 25% range increase, according to Capt. Christopher Millar, a UH-1Y Venom pilot with HMLA-267, a squadron deployed to Okinawa from Camp Pendleton, California. 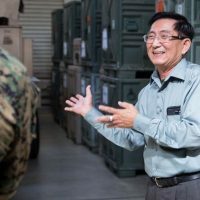 A former Vietnamese soldier who was assigned to the 12th Marine Regiment during the Vietnam War recently visited the command to pay tribute to the unit he served with nearly 51 years ago, here in Okinawa, Nov. 7. On June 1, 1954, the United States Congress declared that the 11 of November would be known as Veterans Day, a federal holiday for Americans to pay homage to those who have served in the U.S. Armed Forces. 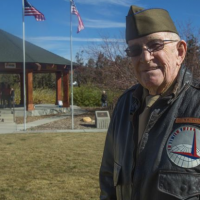 On Saturday, Nov. 11, 2017 the residents of Big Bear Lake did just that, in a ceremony that included numerous veterans from past and present conflicts. 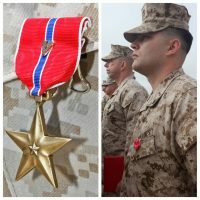 Team leader, 1st Reconnaissance Battalion, 1st Marine Division, I Marine Expeditionary Force (I MEF). We called it “The Rock” and counted the days when we would rotate back to the land of the big PX. Hawaii wasn’t exactly the paradise we expected. The Marine Corps Base at Kaneohe is on a peninsula that forms Kaneohe Bay, with the Pali mountains as a backdrop. The Air Wing enlisted barracks was a group of two story, flat-roofed, stucco buildings with open squad bays that were connected by breezeways. The 212 barracks had the MPs on one side and the helo boys from HMM-161 on the other. Next to the 161 barracks was the mess hall. I arrived with a group of replacements for the guys whose two year tour was over. The barracks had an upper and lower open squadbay arranged in cubicles marked off by green metal wall lockers, and a central corridor. Each cubicle had six single bunks (or racks), as I recall. Each rack had a mosquito net which was a necessity on that side of the island, called the “Windward Side”. The mosquito nets were needed because of the mosquitos that were bred in the swamps between the base and the mainland. Those bugs were huge. One night, I forgot to put my net down. About 0300 I felt a thump on my chest. Looking down, I saw a Kaneohe mosquito turning over my dog tag to check my blood type. Not only were they huge, they were picky eaters.